Pattersons – National Strength, Local Service. If you are an insurance company, log in here to check the progress of your customers’ repairs. If you are a trade partner, log in here to update claims progress & view new instructions. If you want to pay your account or insurance excess, access our secure payment portal here. Insurerbuild is the market leader for domestic insurance building repairs in Australia and New Zealand. We work on behalf of insurers to assess damage, co-ordinate repairs and ensure the work is completed to the best standard. Our aim is to provide the best level of service and exceed customers’ expectations. 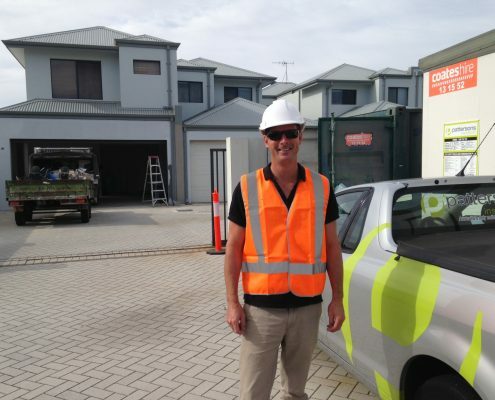 Pattersons Insurerbuild has a wider geographical coverage than any other Australian insurance builder and our reputation is for delivering the highest quality repairs on time and on budget. Click on the “visit website” link below to learn more. Commbuild specialises in all commercial and complex projects. The Commbuild team consists of highly qualified estimators, project managers, file managers, contracts administrators and other experts in their field, including an in-house draftsperson and legal counsel. By managing commercial and complex projects separately, we are able ensure that the key aspects of each project are managed accordingly by the most qualified people, giving customers peace of mind that their property is good hands. Click on the “visit website” link below to learn more. 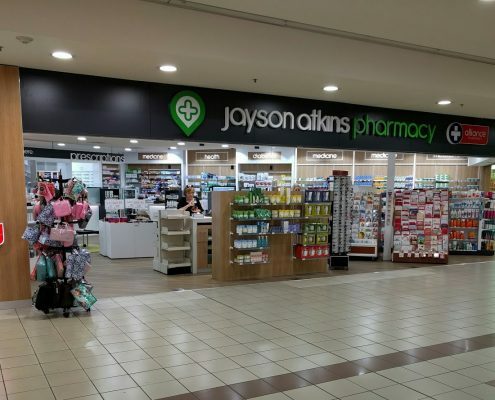 Pattersons Build Group’s medical construction division, Medibuild specialises in the construction and fit out of Pharmacies, Medical Centres & Special Care facilities. With a hand-selected specialist team of project managers, tradespeople and in-house design all backed by cutting edge technology, Medibuild is able to deliver all sizes or medical contrition projects on time and on budget. Click on the “visit website” link below to learn more. At Patterson’s Build Group, we are driven to exceed the expectations of insurers and their end-clients. We will reduce the life cycle of claims and the cost of repairs. Insurers can rely on Patterson’s Build Group to satisfy their clients. Clients can count on us for efficient, top quality repairs. We are licensed in domestic and commercial building. Our experience, our personalized approach and our extensive networks mean we are prepared for any situation. Regardless of the size, type and location of the project, we can deliver. congratulate him on a job well done. I am writing this letter of Appreciation and Recommendation from the kindness of my heart to personally thank you all very much on an outstanding job completed in Gagebrook. I am absolutely amazed by the hard work you all have done to the property, I am speechless, no words can express how I am feeling other then shocked walking in today seeing the house looking breathtaking. Mark and Darby have went above and Beyond expectations, leaving my investment property in their hands for internal design colour matching has showed me how much love and passion has went into planning for a perfect crisp finish. On the outside of the property they have also excelled by finishing off with all removal of rubbish work Materials, lawns done and used a high pressure cleaner for the concrete. Again I would like to thank everyone throughout this process for the fire claim, and be so happy for Pattersons to continue with my other claim with Comminsure. Hi Sharlene, I would like to take this opportunity to thank you ever so much for all your professional help. You have been an angel in all this. You really went the extra mile to resolve my issues that I was never able to resolve with our insurance company. When your employer hired you I don’t believe he knew how valuable an employee you would be. Industries like this need more people like you. Please pass this on to your managers and thanks once again. The staff & trades were very nice. I couldn’t have wished for a better experience and would highly recommend Pattersons. I would like to express our gratitude for the excellent work that the gentleman who looked after our property at Westbourne Park. I found the men, skilled in their craftsmanship, approachable, polite and courteous and commend Pattersons for their selection of trades people to represent their business. I am happy with the result. Thank you – please convey my appreciation of their work. We are very happy with the repairs and service provided by Pattersons. The attending carpenter and painter did a great job, were timely and tidy. We would be happy to recommend them and are also very happy with Pattersons following up throughout the repair process. All the trades that attended the repairs were spectacular. They all went above and beyond and I’m so happy with the extra care taken during the process. I would recommend them to everyone and am so happy that they were allocated to complete the works. I was very impressed with entire process and would like to thank Pattersons for a stress free and positive experience. Both Deb and I would like to express our gratitude for a job well done! The house looks sensational and we’re both impressed with the standard of the workmanship involved. Thanks to Deano, Liam, Scott, and Brent, plus the carpenter chap whose name I can’t recall! All of them were pleasant and very helpful and we felt that they were there to genuinely help and get the result we wanted. A final big thank you to Chris Packham for your accessibility, attention to detail and helpful attitude. You and the lads have made what could’ve been a nightmare into a relatively positive experience! I would like to thank Patterson’s for your help during my claim process. I am very happy with the repairs, and have never dealt with a company who would actually call after everything is complete to ensure I am happy with the repairs. My claim experience was a very positive one. I am so happy with the results. My house looks like a new home. I was extremely happy with the trades, both the plasterers and painters were nice gentlemen that completed the works without fuss and very professional. The repairs to my mother’s house have been completed and she is pleased with the end result. This claim has been lengthy with several revised scopes and not without it’s stresses. I would like to thank you for your professionalism and courteous customer service. My mum praises your communication and the genuine interest you showed towards her. You provided regular updates, answered all questions and actioned promised follow ups putting my mum at ease. My mum was highly impressed with the appointed plumber, he was honest, had a good work ethic and did a great job. Well done to you and your team. A great outcome on a $2M reinstatement in Bunbury. A truly outstanding project that has taken a year to complete. Whilst the start was difficult, Pattersons have delivered exceptional result. 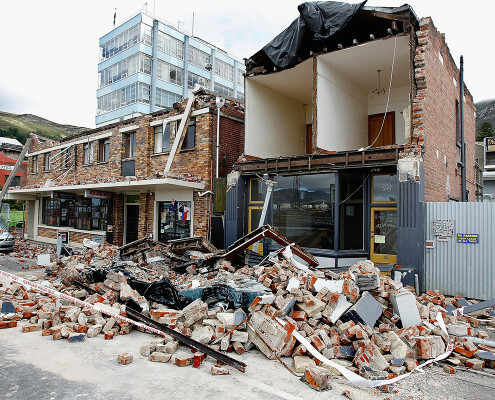 The Christchurch office opened in May 2010 as part of our National roll out and was already well into servicing the insurance industry when the first and subsequent earthquakes hit.